As if golf isn’t hard enough! 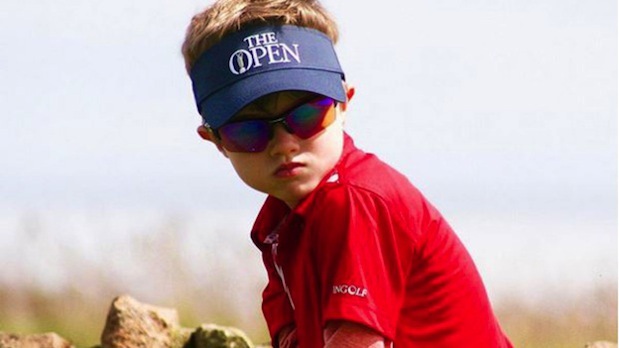 Tommy Morrissey is a 4 year old golfer who isn’t letting his physical inabilities stop him from being a very capable golfer. This young fellow was born without his right arm, yet he still owns a swing that would be the envy of any aspiring golfer. Aside from golf, Tommy also has a passion for fishing and loves getting out in the boat with his family, no doubt he is probably a gun at that as well! To find out more about Tommy and his incredible story be sure to visit his Instagram page.